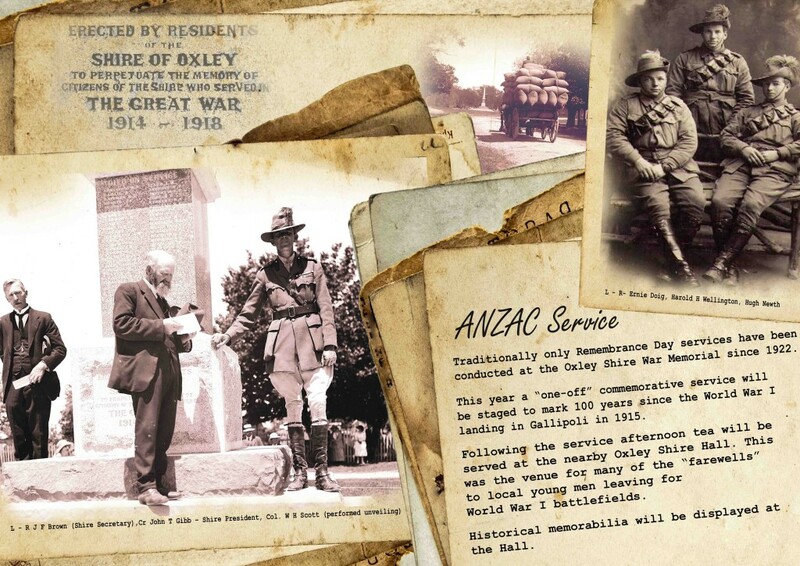 The Oxley Residents’ Association is staging a one-off Commemorative Service to mark 100 years since the World War 1 landing at Gallipoli in 1915. The service will be held on Saturday April 25 at the Oxley Memorial Park commencing at 3pm. Those attending will be asked to assemble by 2.30pm. The ORA is hoping to make contact with as many descendants of the around 310 servicemen and servicewomen from the former Oxley Shire who served during the ‘Great War’as possible and encourage them to attend this special event. The names of those 310 are etched forever into the Oxley Monument at the park. Click here to see a list of the names as noted on the Memorial. The service will be followed by afternoon tea at the Oxley Shire Hall, where it is hoped those attending will be able to share their memorabilia,photographs and knowledge of their forebears. 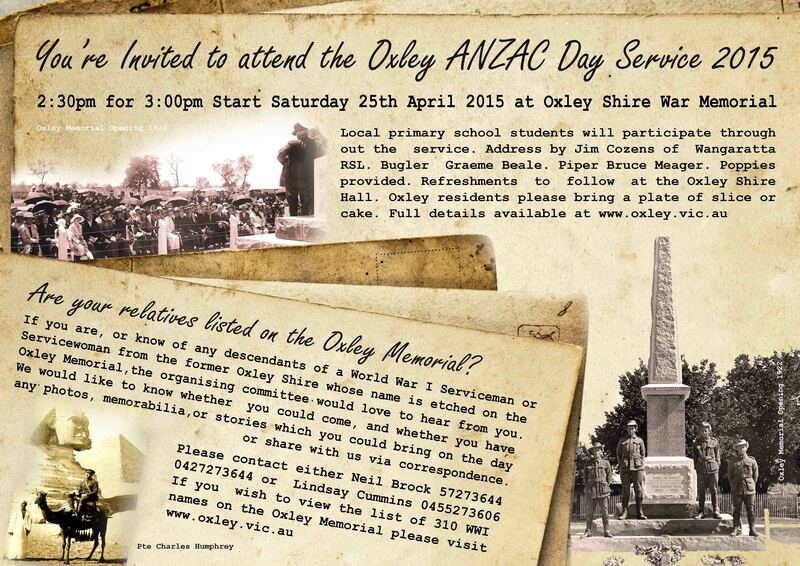 If you are, or know of, any descendants of a serviceman or servicewoman from the former Oxley Shire the ORA organising committee would love to hear from you and if you are able to attend. Please contact Neil Brock on 5727 3644 or 0427 273 644, or Lindsay Cummins on 0455 273 606.